Feb. 17 2015 we adopted an 11 year, 5 week old golden retriever, Sophie.I have stayed in contact via e-mail with her former owners (they had also been the owners of our Great Pyrenees, Moose, who we adopted as well). Jill has sent me several copies of pictur5es of Sophie and Moose. 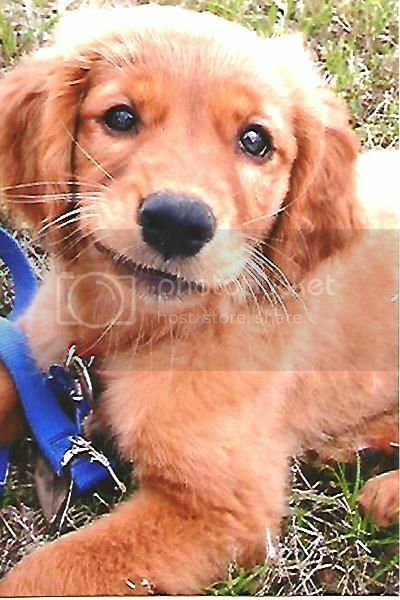 I got some today and this picture of Sophie as a puppy is one of them. I swear that face was made for smooching on!